Unlikely Influences is a series of weekly blog posts about how writers can learn the tricks of their trade in odd places. Most are from guest authors, but I’ll pop in from time to time too. This week’s installment is by Lisa Shapter and was originally published on her site last year, so the references at the end to her progress through the stories are not current. 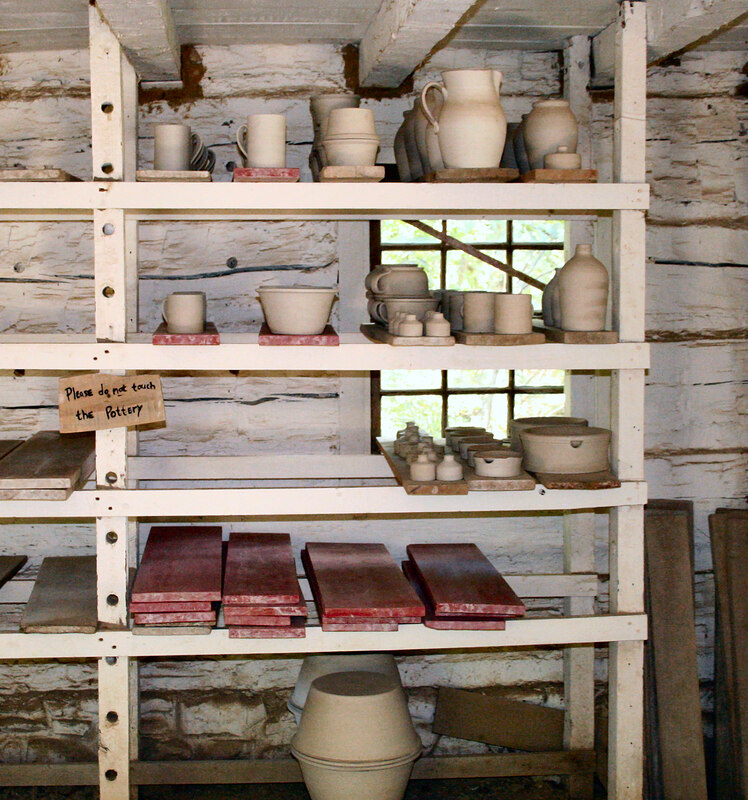 “Conner-prairie-pottery-rack”. Licensed under CC BY 2.5 via Wikimedia Commons. Lisa Shapter attended Earlham College in Indiana and the Bread Loaf Young Writers’ Conference (now the New England Young Writers’ Conference) in Vermont. She has worked for Wesleyan University Press and the Johns Hopkins University Press and a succession of small libraries. 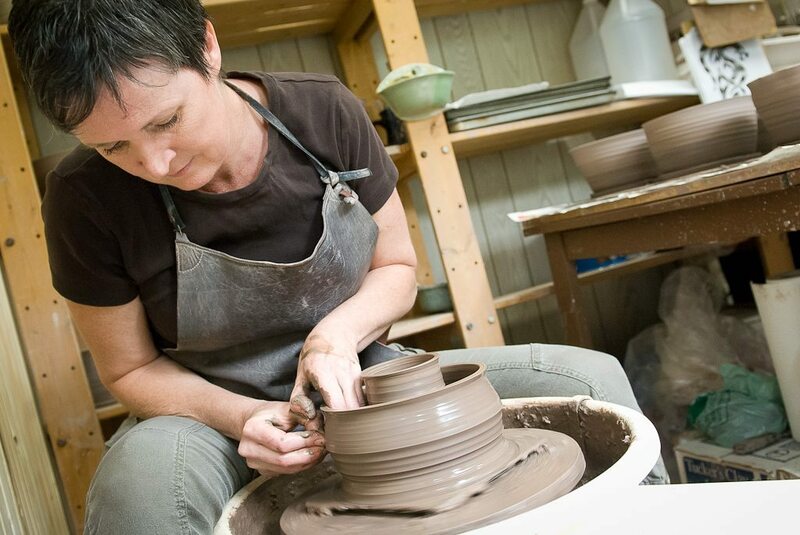 Her interrelated work explores themes of identity, orientation, and gender. Inspired by Robertson Davies, she writes composite stories from the perspectives of multiple narrators, each with their own truths, half-truths, and shortfalls. Although each of her novellas and short stories stands on its own, each is part of a larger story told across several pieces that develops facets and shadows under different narrators’ perspectives. A Day in Deep Freeze is the first work written for the Canadian 3-Day Novel Contest to be published by a non-sponsoring publisher. Lisa Shapter lives in New England where she writes a short story each week, collects antique typewriters, and researches the history of women in SF. She once apprenticed to an ABAA antiquarian bookdealer in preparation to open a second-hand SF/F bookstore that never got off the ground. Her LBGT-friendly feminist military SF has appeared in Black Denim Lit, Expanded Horizons, Four Star Stories, Kaleidotrope, and in the M-Brane SF anthology Things We Are Not. Her alternate history novella A Day in Deep Freeze was published last month by Aqueduct Press. Her short story “Planet 50” is coming out this month in Black Denim Lit and two sequels to that story will follow in the same magazine this summer.